In his opening speech at the 2nd Digital Government Exchange (DGX), Mr. Peter Ong, Head of Singapore’s Civil Service, talked about the the Smart Nation Sensor Platform (SNSP) and the aim of converting all 110,000 lamp posts in Singapore into an interconnected network of wireless sensors. SNSP, previously known as the Smart Nation Platform, is one of the three large, complex, cross-cutting projects currently in focus for the Government Technology Agency of Singapore (GovTech), the other two being National Digital Identity and E-payments. SNSP will enable agencies to collect, analyse, and share data from sensors deployed island wide. Agencies can share common sensor communications backhaul and share the collected data to gain deeper insights. It would include a range of initiatives from smart metering in residential areas to provide consumers with timely information on their utility consumption to planning public transport using vehicular counting on a video analytics platform. Along with software to enable sensor data exchange, and data and video analytics, the platform includes hardware in the form of public cameras and lampposts. 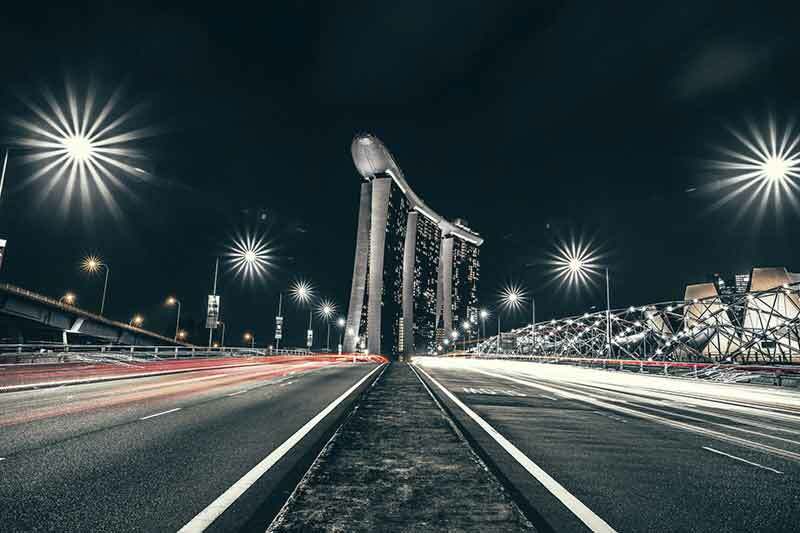 In January this year, it was announced that the Land Transport Authority (LTA) is installing energy-efficient Light Emitting Diodes (LED) for Singapore’s street lights and will replace the existing timer-based street lighting system with a Remote Control and Monitoring System (RCMS). The press release also stated that GovTech would leverage LTA’s smart lighting infrastructure to test the feasibility of deploying a shared network for low bandwidth. The Singapore government plans to make all 110,000 lampposts in the country into an interconnected network of wireless sensors. In Singapore the lampposts are separated by an average distance of 20 to 40 metres. For this network, the lampposts will be looked at as a clusters, rather than individual lampposts. This means that not all lampposts in a cluster would have the same connections or sensors. One lamppost could be connected to the nearest NGBN (next generation boradband network) point, acting as a &apos;base&apos; lamppost and providing connection for bandwidth devices and the base of a meshed network. Other &apos;spoke&apos; lampposts could connect through Wi-Fi meshed network for fixed frame rate CCTV, while others could extend connectivity by rebroadcasting to other sensors. Each could contain different sensors. Not every sensor would be required for every single lamppost, with the cluster approach. GovTech will build in standard connectivity and power sources into the lamp posts, and then different devices can be plugged into it as required. The devices could be CCTVs or environmental or motion sensors. The network will factor in the power in the lampposts which can be utilised for connectivity and IoT devices. Though the LED lights will reduce power consumption, there are limits on the amount of power which can be pumped into the lamppost without replacing cables. The network will take this into account and leverage existing infrastructure, using the power saved by use of LEDs for the sensors. Designing the backhaul for transferring the collected data to data centres is another challenge being tackled. Data from the sensors will be used for urban and operational planning and also for maintenance and prompt response to incidents. Mr. Ong provided an interesting example of a potential application, by having lampposts communicate with connected cars to alert drivers when an ambulance or pedestrians are nearby. An accompanying Factsheet provided more details, adding that the vehicles could make way for the ambulance, once notified of an emergency and the ambulance’s presence. The smart lampposts could also host navigational beacons to guide autonomous guided vehicles, adjusting their route for road cleaning or grass cutting purposes. The proof-of-concept development and trials are expected to start soon. In addition, GovTech has deployed some CCTVs in public areas, environmental sensors and connectivity infrastructure in Yuhua, Civic District, Orchard Road and some other areas. GovTech is also developing a video analytics platform which will be part of SNSP. Under this initiative, GovTech is working with various interested agencies for anomaly detection, studying human traffic patterns etc. Feeds from public cameras could be shared and the insights obtained from analysis could be used for improved planning and incident response. The pilot for the platform is targeted for the second half of 2017.